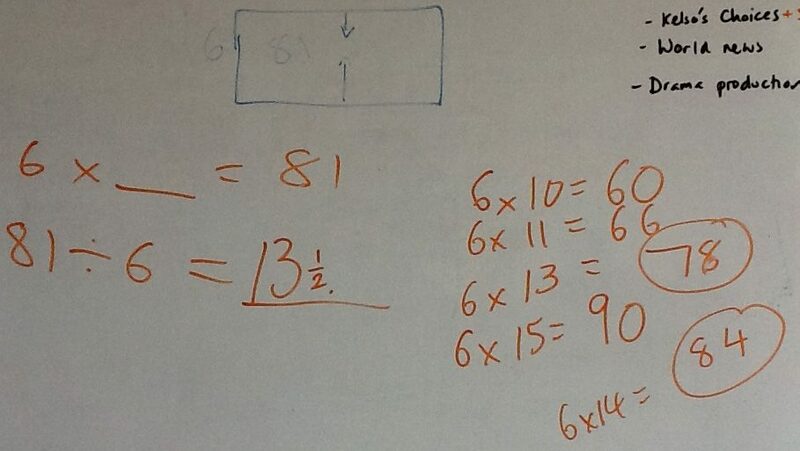 Tom modeled his division thinking for solving 81 / 6. A great example of a student making sense of math and explaining his thinking. Sweet!